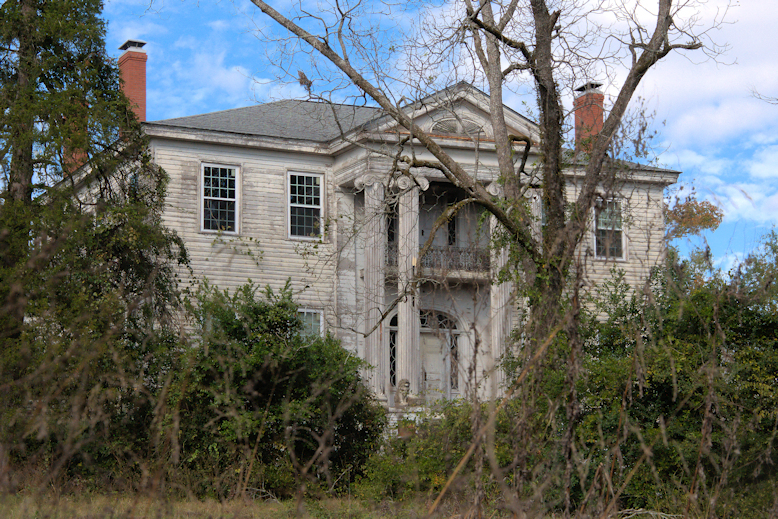 This house is perhaps the most enigmatic in Milledgeville, due largely to its present derelict appearance. [It’s apparently more stable than the grounds would suggest]. 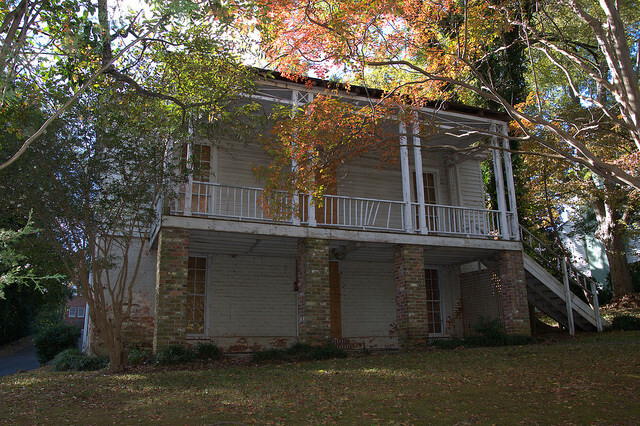 Built by Joseph Lane for Samuel Rockwell (1788-1842), the house has also been known over time as Beauvoir and the Governor Johnson House. Rockwell, a native of Albany, New York, first practiced law in Savannah before establishing a practice in Milledgeville around 1828. He served as Inspector of the 3rd Division during the Creek Indian War of 1836. 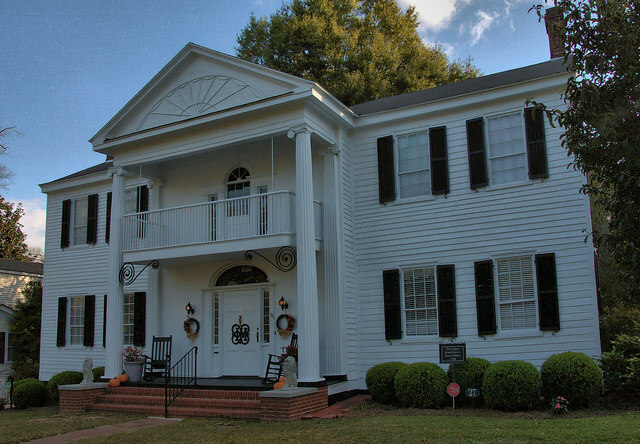 Closely related, stylistically, to the Milledgeville Federal houses, Rockwell is more highly realized in form. 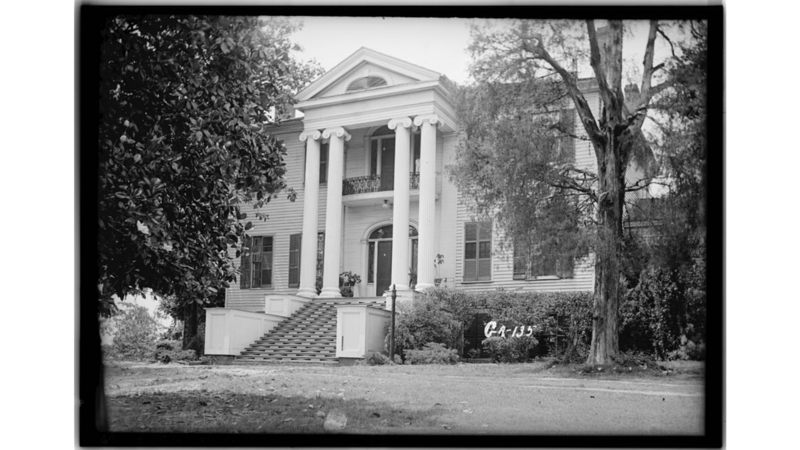 The house was documented by photographer L. D. Andrew for the Historic American Buildings Survey (HABS) in 1936, owned by the Ennis family at the time. Photo courtesy Library of Congress. Thanks to Michael Massey for bringing this house to my attention. 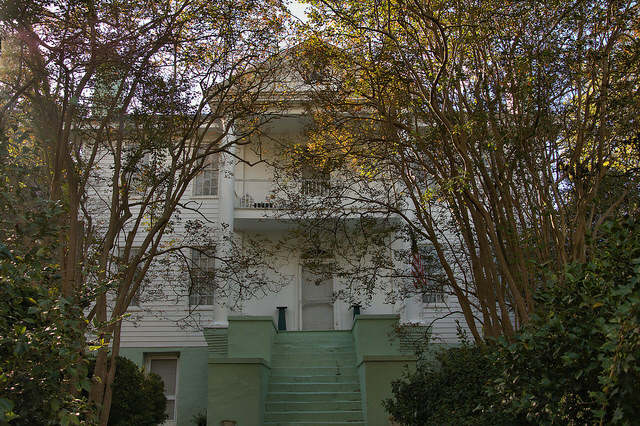 Built on North Wilkinson Street for George T. Brown by John Marlor, this structure first served as the U.S. Hotel and then the Beecher-Brown Hotel. 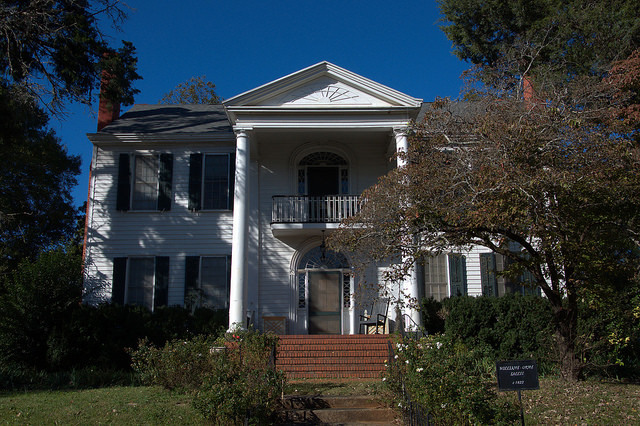 Daniel B. Stetson bought the house in 1857. His daughter Elizabeth was married to Judge Daniel B. Sanford, Clerk of the Secession Convention. During the 1950s and 1960s it served as the Sanford House Tea Room. 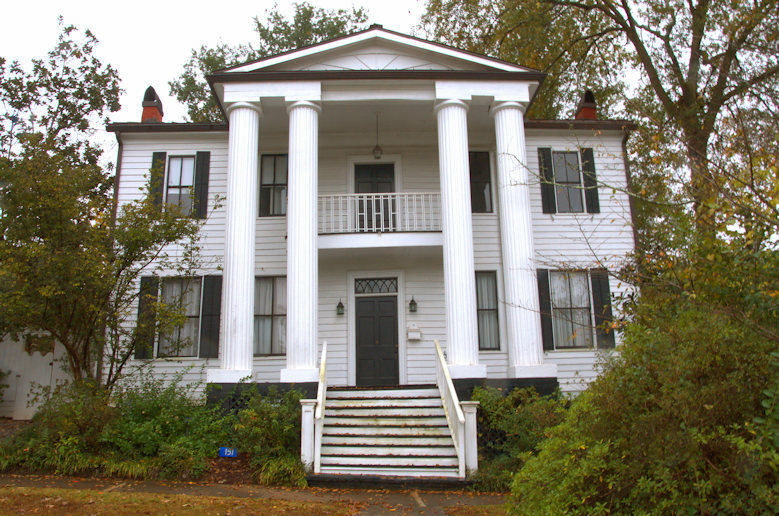 The family donated it to the Old Capital Historical Society who moved it to West Hancock Street in 1966. 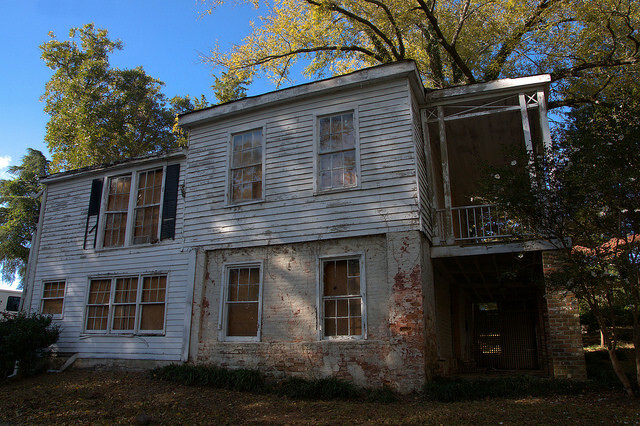 It’s open to the public on Thursdays, Fridays and Saturdays through Milledgeville Trolley Tours and is available for events. Admission is charged. 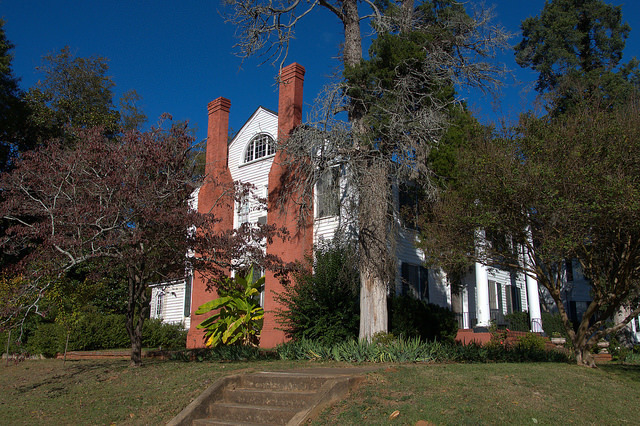 Attributed to Daniel Pratt, this iconic home is perhaps the best example of the Milledgeville Federal Style. Though built by John Williams, it has come to be known as the Orme-Sallee House. 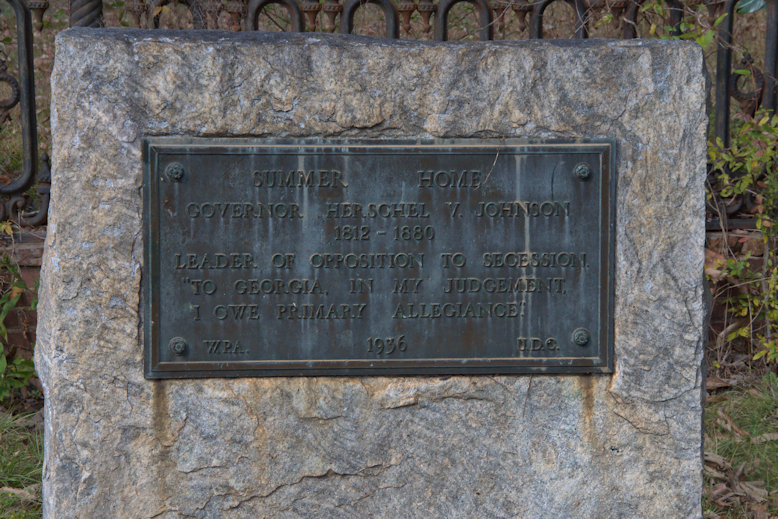 Richard McAlister Orme was a land and slave owner and editor of Milledgeville’s Southern Recorder. Though initially opposed to secession, Orme became an ardent supporter upon his sons’ entrance into the war. During the Sherman’s March to the Sea, Mrs. Orme, who was from Massachusetts, hid her Confederate son-in-law in the attic of this house during its occupation by Union forces. Double chimneys on both sides of the house and attic fanlight are nice features. 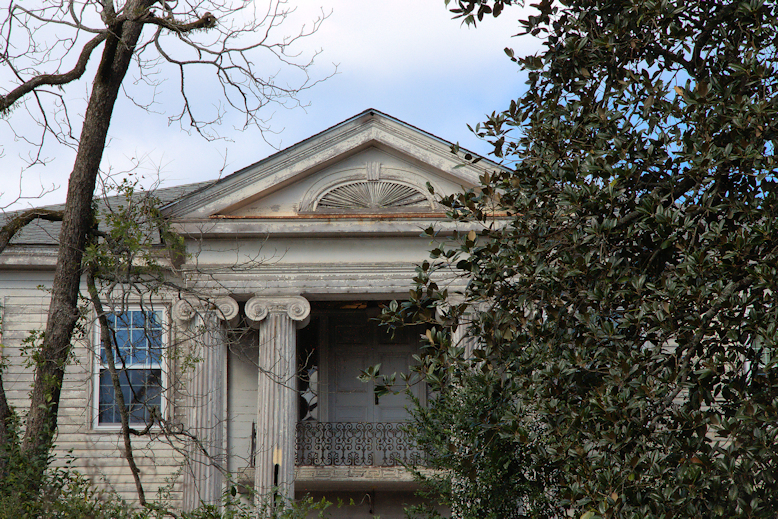 The south side fanlight, seen below, has been lost to a modern replacement. 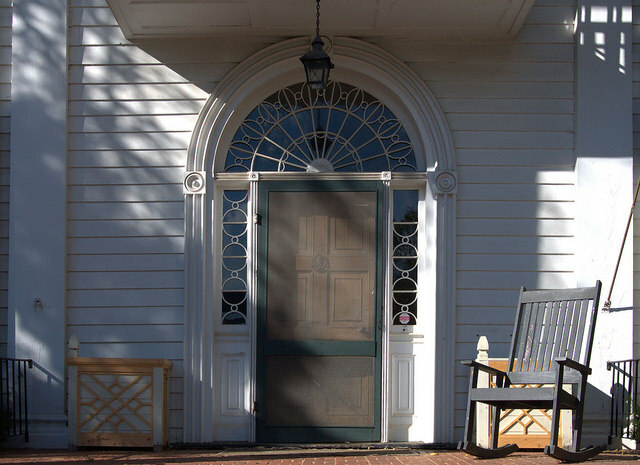 The front door, with ornamental fanlight and sidelights, is my favorite feature. 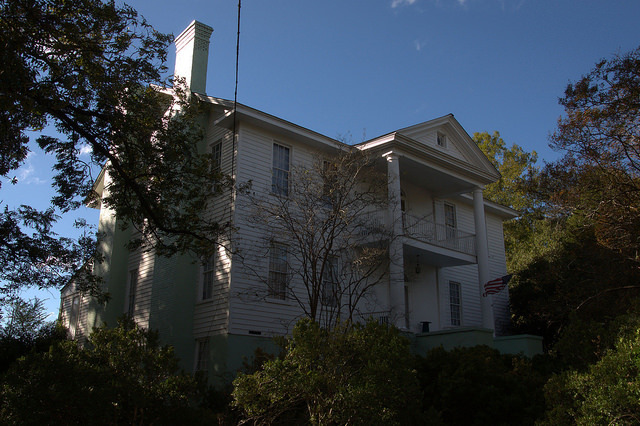 Built for Peter J. Williams, the Homestead was owned for many generations by his descendants, including his great-granddaughters “Miss Sue” Jones, Mrs. David Ferguson, and Betty Ferguson. Frances Lewis is also listed by architectural historian John Linley as an owner of this grand home. But please don’t come here looking for the ghost or for an invitation into the garden. Be respectful that the house is private property. More importantly, Linley continues: The Homestead may well be the first house in America to utilize a narrow colossal-type portico with only two columns. 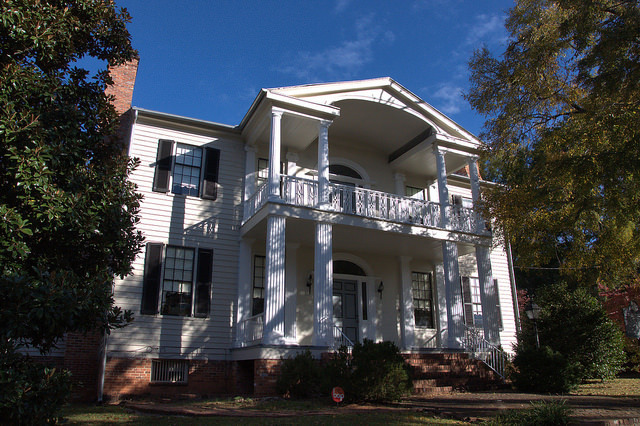 Though never widely used, the style became so popular in the Milledgeville area that it is frequently referred to as the Milledgeville-Federal type of architecture. 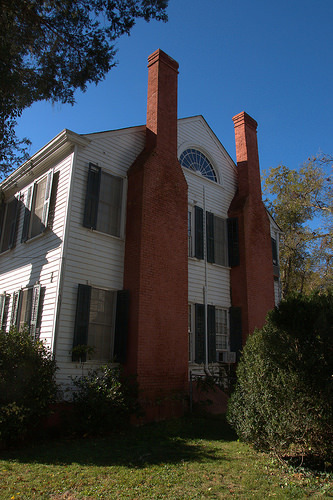 Adjacent to the Homestead is this structure, the brick lower floor of which was originally the kitchen for the estate. It’s likely contemporary to the 1818 date of the main house. The second floor was a later addition which I assume may have housed servants.